☞ DATE & TIME: Sunday, March 3 – Drinks and snacks available from 6pm at the cinema bar; Screening at 7pm. Omar Sy, (star of Les Intouchables) shines in another comedy-drama film. 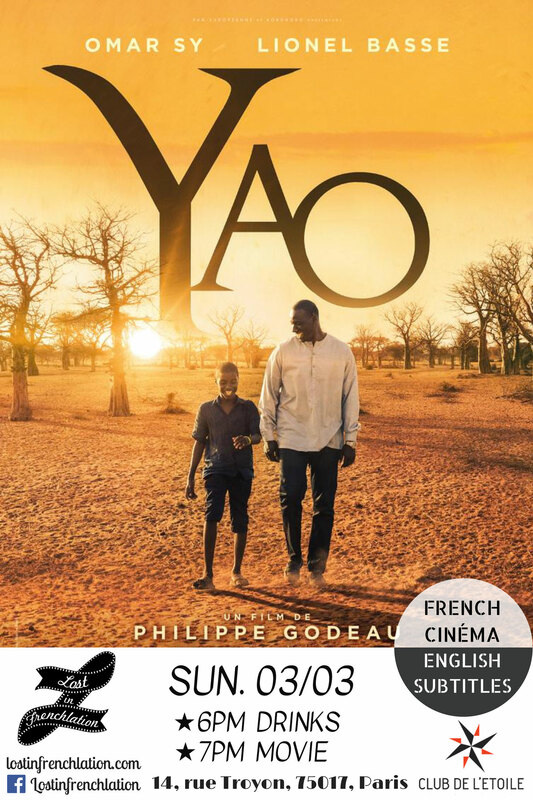 “Yao” is a story about unlikely friendships and finding your roots. Adults and children alike will be able to appreciate this uplifting story. Lost in Frenchlation brings this film to Club de l’Étoile with English subtitles on March 3rd. The screening will take place at Club de l’Étoile cinema, located a short walk from the world-famous Arc de Triomphe! We will be offering a variety of French-inspired drinks and snacks during our cocktail hour from 6pm and start the screening at 7. Make sure to bring the whole family to view this heartwarming film!